Fans coming to watch the wedding of Britain's Prince Harry and American actress Meghan Markle will have to pass through tight security in Windsor, a town just outside London, on Saturday. 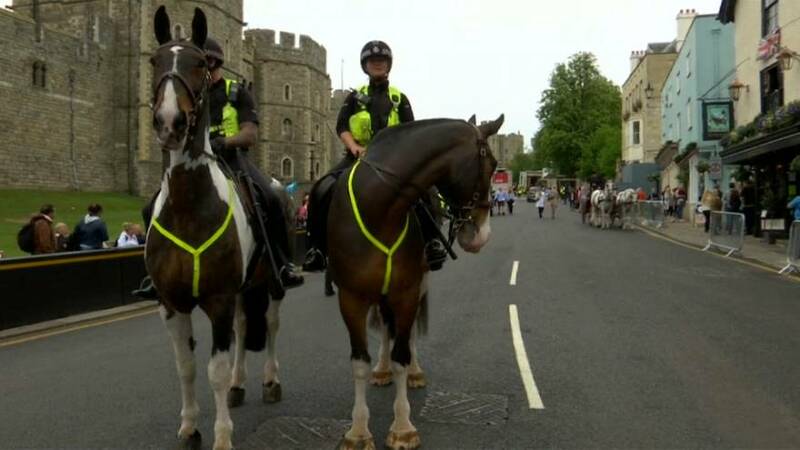 More than 100,000 people are expected to flock to the genteel town dominated by Windsor Castle. It's one of the biggest police operations ever faced by the local police force. The police commander in charge of "Operation Wedding" reports there's no cause for alarm however. "There is no particular threat for this event. There's no intelligence to support that this event is particularly going to be targeted. But people will be aware of the atrocities in the UK last year, over the last 18 months in Europe," Police Superintendent Jim Weeds said. Roads will be closed to seal off the town and there will be patrols by armed officers and search dogs. On a happier note, it looks like umbrellas won't be needed as the forecast is for sunshine and not rain.